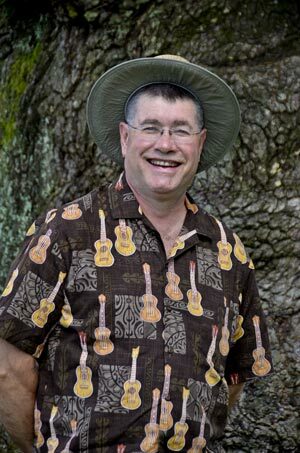 Mike McHugh is author of The Dang Yankee, a humorous column about a life in Louisiana and the world at large, from the perspective of a slowly graying northerner who never quite grew up. Started in 2009, it is a popular feature in The Louisiana Jam, a local publication covering Southwest Louisiana and Southeast Texas. Current and past articles are available on the paper’s website . In addition to his column, Mike has two stories published in the anthology, Not Your Mother’s Book…On Home Improvement, by Publishing Syndicate, which was released in September, 2013. He was awarded 5th place in the 1st Quarter, 2013, writing contest on HumorPress.com and was selected as a Finalist in two others on the same site. He also appears weekly on the Internet broadcast, Tiki Island Radio, and is a local public speaker in Southwest Louisiana. Mike, a native of Baltimore, Maryland, currently makes his home in Lake Charles, Louisiana. Still torn between the two, he eats gumbo and listens to Wille Nelson while he roots for the Ravens and hankers for crab cakes. He’d be totally schitzo if it weren’t for the few commonalities between Maryland and Louisiana, one being that both states have sent former governors to jail. He is a member of the Erma Bombeck Writers’ Group, The National Society of Newspaper Columnists, Toastmasters International, and the Bayou Writers’ Group. Mike and his wife, Susan, have two adult children. They now share their house with three cats, some tropical fish, and, at any give time, an untold number of uninvited pests. But that’s life on the big bayou.